DETROIT — Paul M. Abbate arrived in Detroit last fall to take over the local FBI office, days after Mayor Kwame Kilpatrick got a hefty 28-year prison sentence. Kilpatrick was whisked away in handcuffs. 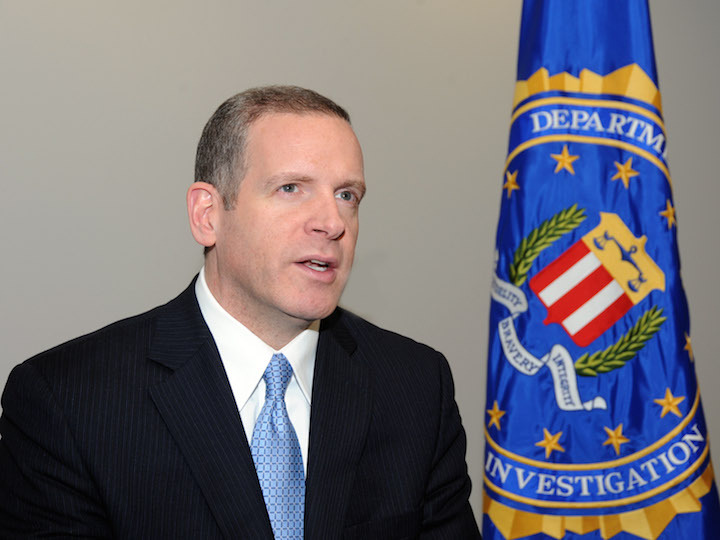 Before arriving here, Abbate headed up the counterterrorism division in the FBI’s Washington Field Office, which handles terrorism investigations domestically and overseas. Before that, he spent time at FBI headquarters, Newark, New York, Los Angeles, Iraq and Afghanistan. He was involved in such FBI investigations as Benghazi and Pan Am 103. October marked his first anniversary in Detroit. 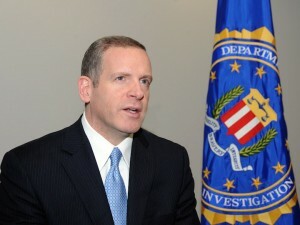 A native of the New Haven, Conn. area, the very affable Abbate, an 18-year veteran of the FBI, recently sat down with Allan Lengel of ticklethewire.com to talk about ISIS, traditional organized crime, the agency’s relationship with the Arab-American community, local gangs and use of social media, corporate espionage, violence and how he ended up in Detroit. “I actually asked to come here,” he says, adding that he’s been impressed with the people of Michigan. The following is an interview with Abbate, which has been trimmed for brevity. The questions have been edited for clarity. DD: Is there any sense that ISIS or ISIL has any presence or connection here? Abbate: It’s something that we’re constantly vigilant about, proactive in terms of trying to be in front. I wouldn’t say that we have any specific or credible information that there’s an ISIL presence here in Michigan at this time. But it’s something, 24/7, we’re always on guard for. DD: The Internet has become a big tool for recruiting. Do you see any of that activity here? DD: Is that monitored out of headquarters? Abbate: We work in conjunction with the Counterterroism Division in headquarters. And that type of investigative work is carried out throughout the 56 field offices including here as well. When you talk about focusing on a specific area, the Internet and the reach of the Internet has really broken that down. Any person sitting anywhere in the world can reach out and attempt to recruit, radicalize and incite anyone else in the world whether it’s here in Michigan or anywhere in the United States. DD: Do you have any sense of al Qaeda having some presence here? Abbate: Like the earlier questions you ask, I would say that we don’t have any specific or credible information with regard to any particular group like that, but that’s what we do. That’s what we’re on the watch for. It’s our top priority to identify if it’s here and prevent an attack from occurring. DD: Do you see anything in Michigan, an exchange of people coming and going from Syria, that might concern you? Abbate: We’re always on the look out for that. We had a case here , we had an individual who was arrested this past March who was seeking, as alleged in the complaint, to go over to Syria to join up with a terrorist organization. We’ve had a number of cases nationally where we’ve had people travel there. DD: How would you describe your relationship with the Arab American community here? Abbate: I think it’s strong. Again the community outreach that we do is broad based, so I don’t like to single out any one particular community. With respect to the Arab American community, we have a very robust outreach, with various aspects of that community and individuals. It’s strong. We go to various events that are held within the community. We hold regular meetings here to share ideas, to hear from the various communities. DD: In some parts of the country there have been concerns over the years that the FBI has been too aggressive in monitoring activities in mosques. Is there a concern here that you’ve heard? Abbate: I think a lot of those earlier concerns that have been around for a long time, now to a great extent, have been overcome. Certainly that sort of distrust or concern still exists to some level, and we do continue to hear that. But I think we’ve made great strides. DD: What concerns do you hear in that community? Abbate: Some of the things that I hear most often now, we hear concerns about the (terrorist) watch listing system. That’s one we hear about all the time. DD: What do you tell people? DD: Have you gotten people off the list? Abbate: We have resolved cases, yes, on behalf of people and we’ve had success in that. DD: Do you feel there’s a pretty good trust in the Arab community when it comes to the FBI? Abbate: My sense here in Michigan is that there’s a pretty good level of trust. And people know that if there are concerns or issues or specific cases that come up, they can bring them forward and we’ll make every effort to look into it. DD: What other concerns have you heard in the Arab-American community? Abbate: The other issue that we’ve heard quite frequently is that there are people in the community who are falsely claiming to be associated or involved or working for the FBI and threatening people in their own community. And we take that very seriously. My message is this, and what I tell people, if that is occurring, we want names. We want people to come forward. We take that very seriously. We’ll investigate and pursue it and refer it for prosecution. DD: When they said you were going to Detroit, what was your thoughts? Abbate: I actually asked to come here. Abbate: I had worked with the office in various capacities at headquarters. I had worked with a number of great people who were from this division and from my overseas assignments and with Andy Arena (former head of Detroit office). Detroit was one of those offices that I always thought would be a great place to work. I knew the work was very balanced out here across all of the programs. And it was top notch. I knew also the FBI regarded this office as one of the top offices, highest performing offices in terms of the work, the mission that we do in the FBI. And for all those reasons, it was always on my radar as a destination. DD: So you had been here before? Abbate: I had never been here before. All the work that I had done with the office had been from D.C.
DD: What was your reaction when you saw the city? Abbate: From research and looking at photos and film, I had a good idea what to expect. I love the history of the city, I love the look of the city. And I think the history and all of that behind that is intriguing and exciting. So I wasn’t disappointed when I got here. DD: The CIA has liaisons in different FBI offices in the country. Do you have one here? Abbate: We have a liaison relationship with the CIA. You know particularly since 9/11, the exchange of detailees and sharing of information between the FBI and the CIA and other intelligence agencies has been vastly increased. DD: When you talk about liaison, is there someone here in Michigan? Abbate: We work frequently with the CIA on a number of fronts. We regularly work with them in realm of recruiting for employment. And we have relationships with people from the human resources department in Washington D.C. who travel here almost on a weekly basis, that we work with to do job fairs, recruiting events, to find people from the community for rolls in the FBI and CIA. There’s a lot more sharing of information going on. DD: Does this division provide intelligence that is disseminated around the world from Detroit? Abbate: Every office serves that function. There’s outstanding intelligence flowing in from all of our field offices. I would say for this division, I think we’re probably one of the leading offices in terms of that production. DD: Do you have enough Arab speaking agents? Abbate: We’re always looking to bring more agents, analysts and other employees on board who have strong language capabilities including Arabic. I wouldn’t ever say we have enough. I would say we’ve made significant strides. DD: What percentage of the agents are dedicated to counterterrorism and counterintelligence? Abbate: Probably within this office, 30 to 40 percent. DD: How many agents are there in Michigan? Abbate: We have close to 300 agents serving the state. DD: We hear from time to time about industrial espionage. Obviously, Detroit has car companies and there’s tech businesses in Metro Detroit and Ann Arbor that could be potential targets. Is there concern here about that? Abbate: It’s definitely a huge concern. And it’s a big priority here. We have a cyber task force here in the office. It’s one of the top priorities for the FBI, countering foreign espionage efforts by national state actors who steal trade secrets, commit economic espionage, steal research and development. It’s not unique here in Michigan. We do have a lot of large corporations and the automotive industry is certainly very high profile here. DD: Is China one of the bigger concerns? Abbate: I would say our Director recently talked about this during his 60 Minutes interview, and I would cite the case he cited there. He did cite China as a state actor that is frequently engaged in these criminal efforts. DD: Do you have any active investigations in that area here? Abbate: I can’t comment on anything we’re doing here. I would say it’s something that’s a top priority. We’re vigilant about it. We know it’s occurring. DD: Is the Wayne County investigation still active? Abbate: I don’t want to get into any specific cases. We know historically there were several individuals charged and even convicted. I wouldn’t be in a position to comment on anything further in regard to that. DD: In terms of violence, obviously Detroit has a big problems: Homicides, carjackings, robberies. What roll does the FBI have in battling this? Abbate: We play a very significant role in partnership with the Detroit Police Department, Michigan State Police and other federal agencies like ATF and the U.S. Marshals Service. We have a number of initiatives in conjunction with those partners. And we head up from with the FBI, a violent crime task force. DD: What’s your sense of gangs in Detroit? Abbate: Detroit is unique in a certain regard and it presents challenges in the sense much of the gang activity we see here is more loosely organized street gang activity as opposed to being tied back to national or international gangs. So it makes it more challenging to draw the connections and sometimes identify the players involved. However, we have formed a gang intelligence unit in conjunction with the Detroit Police Department , the Michigan State Police and other state, local and federal partners. DD: Does it help to monitor social media? It seems like a lot of gangs use it. Abbate: Definitely. Like many crimes now a days in this age of technology and the Internet, people live online. We’re able to gain a lot of intelligence through social media and from the online world. DD: Do you still have an organized crime section? Is there still a traditionally Mafia as we know it? Abbate: I would say if you look here in Detroit or nationally or you look at places like New York City, the presence of the Mafia as you refer to it or Italian organized crime is significantly diminished. I wouldn’t say it’s non-existent. But it’s not what it was years ago. It’s something we still look at and investigate. However, you know the focus today is on more, sort of non-traditional organized crime. I wouldn’t isolate it to anyone one area, we see it coming from everywhere. Maybe without citing any specific country, the eastern European area. Abbate: I wouldn’t want to comment on any one specific country or community. DD: I remember in 1995 during the Oklahoma bombing, the public suddenly noticed the presence of a homegrown militia here in Michigan. Then 2001 came, and we focused on international terrorism. Do we still have local militias? Abbate: We could probably say there’s a militia or sovereign citizen presence to some extent. But I think we also have to be careful to delineating that line between freedom of speech and crossing that line into the criminal realm. DD: Do you have agents dedicated to that? Abbate: Yes we have. I would say it’s on the radar. DD: You’re impression of the job so far? Abbate: I feel very fortunate for this opportunity. It’s been a tremendous experience and one I hope will continue for a long time. I have found the people both here, within the office, and people we serve within the state, are just tremendous people. And I think we’re making a difference. I think things are moving in a very positive direction. Posted: 11/14/14 at 7:24 AM under News Story. taken in the AG’s office.